I wake up on my last morning in Oahu and gather my belongings I will take for the day. My first stop this morning will be the free hula class at the Waikiki Shopping Center. I walk down Kalakaua, the touristy street that runs along the ocean as I make my way to the center a little less than a mile away. I do a little browsing in the shops since I have arrived early and at 10AM I am ready for class, wearing my hula skirt and tank top. I see Dorothy, the older woman that I met at my class here last week. She told me then that she goes to these classes every day. She is very sweet and wears a flower in her hair and a different colored hula dress and slippers for every lesson. She invites me to come to a second class after this one across the street with her, but I have to say no thank you because that is my only slot of time to eat lunch in before my catamaran cruise later in the day. There is a new teacher in class today, she is a lot more picky about hand placements and hips than the other teacher was. It is kind of nice to know exactly what we’re doing wrong, but I also feel a little patronized. There is no warm up today, just a monotonous description of the basic moves: kaholo, kao, umi, uehei, and a step similar to the cha cha. Once we get into the dance for the day it really gets going. She teaches us considerably more complex arms than any I’ve been taught so far. We move very slowly through the first half of the dance, however, and she speeds through the ending. We only do the whole thing once all together (something that happened in the other class as well). They are so stringent about preventing picture taking, that I’m guessing they don’t really want the entire dance to stick in anyone’s memory. After class I change into my blue shirt dress for the boat later and eat at Arby’s. Since I spoiled myself last night with food, and I’m running a little low on money this will have to do for today. I walk back along Kalakaua to the Marriott where I will be picked up to go to the catamaran at Kewalo Basin…or so I think. I had called them yesterday so I figured I had pretty solid confirmation that they would be here today. No such luck. With about 20 minutes to go I’m instructed to catch a cab which I will be reimbursed for. They do reimburse me, and I make it just in time to step onto the boat. 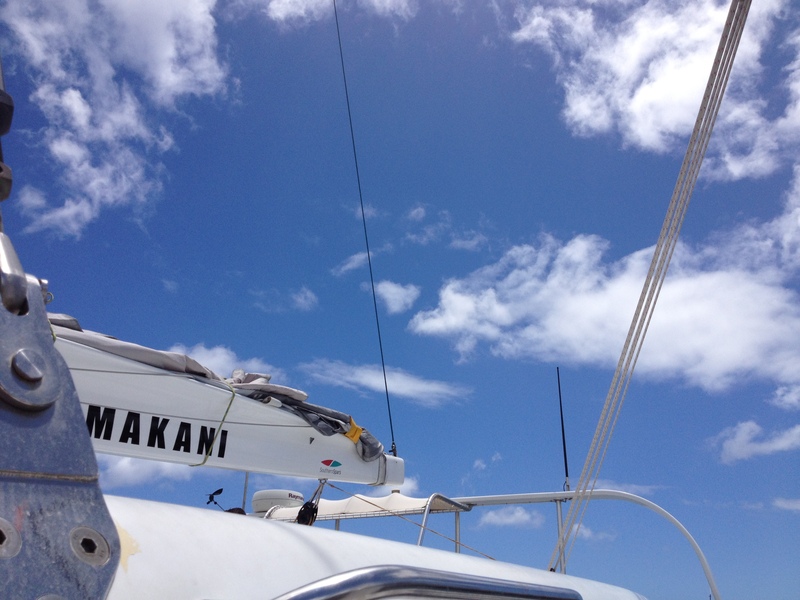 The catamaran is as wide as our boat is long, and about 2 times longer. 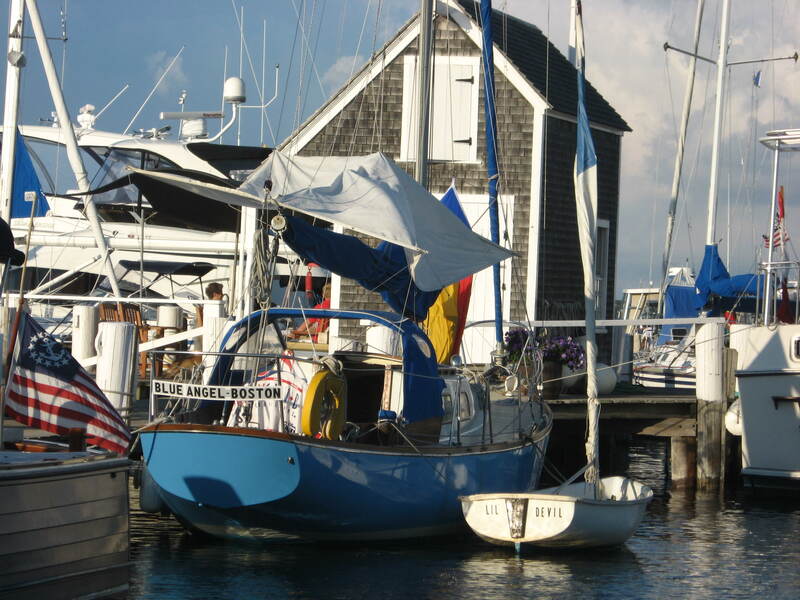 It was built in 2005 and is crewed by a captain, first mate, and bartender. We get a ticket to be used for one free drink when we board, with additional snacks and drinks for sale if we would like them. We go through the safety briefing, I put on some sunblock and we’re off. We motor down the coast of Waikiki, right outside of my hostel, so that we can spot some turtles in the water. Of the 40 or so people onboard, there are maybe 6 kids who are very excited to see the turtles. Most of the kids lay on the nets across the bow of the catamaran for most of the trip. I stand on the side looking out at Oahu. 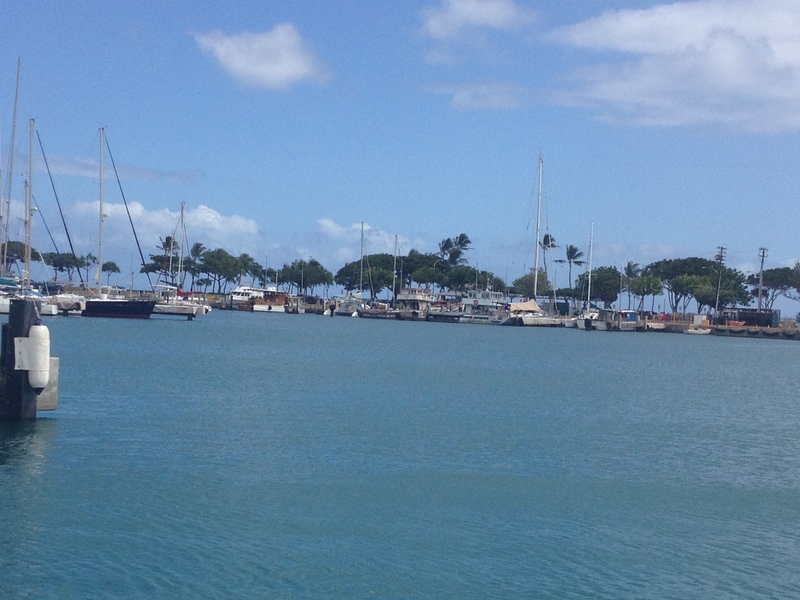 We sail down past Waikiki and towards Diamond Head where there are huge swells and beautiful views. A lot of the women have trouble getting a hang of their sea legs, and I cross my fingers that they won’t fall overboard. I talk to the first mate for a while and tell him about our boat. “I won’t worry about you having your sea legs then,” he says. He tells me that he is from Seattle and keeps his boat here. “It’s not as expensive as you might think,” he says. Soon we’re talking about cruising. He’s never been on one, but wants to do a cruise through the Alaskan passage. I tell him that I’ve done that cruise and he’s very envious, he says he just needs to convince some friends to go with him. He walks around chatting up everyone on the ship, I think they make a lot of their money in tips. I take lots of pictures and when we disembark I get the ride home I was promised. The first mate drives me and a honeymooning couple back to our hotels. The couple is from Bristol and this is only their second day of their vacation. I tell them some of the must-sees. They’ll be sky-diving tomorrow, something that I probably will not try in my life, but they are very nice and are very excited to be here for the next week or so. When I’m dropped off I go to get the lei I was given yesterday from the hula teacher. It’s starting to go bad, so I plan to return it to the earth (like you’re supposed to do with lei). They’re very important to Hawaiian culture, so it’s not acceptable to just throw them into a trash can. 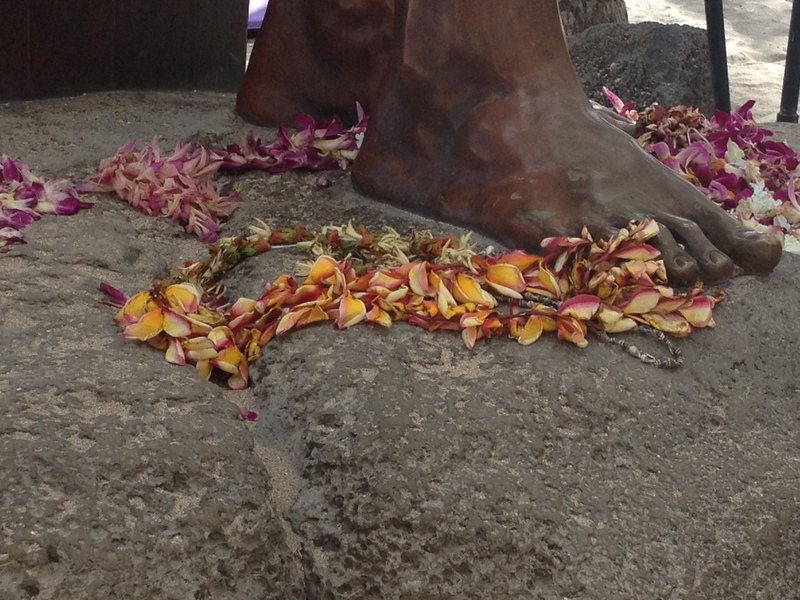 I take mine down to the Duke statue along the beach and lay it at his feet. While I’m standing there some Japanese girls ask me for the answers to their trivia game/scavenger hunt. I’m surprised that I know all the answers. I had no idea I had learned so much while I was here. As I walk along Kalakaua I try to absorb the scenery one last time. I look out over the ocean as the sun is already starting to set on the horizon. I look at the trees and pick up a plumeria flower to tuck behind my ear as I walk back to the hostel. I say goodbye to the manager and wait outside with my luggage. The shuttle is late, and after a short time a tall, tan boy approaches towing a dark green suitcase. He asks me if I’m going to the airport, and if I think he could have a ride too. I tell him I don’t see why not. He is from Brazil and is visiting America to practice his English. He says he tried to get on a bus with his suitcase earlier today and they wouldn’t allow him to board (I could’ve told you that). We talk a little and finally the shuttle arrives half an hour late. Good thing I left lots of extra time to get to the airport. In the car I realize I don’t know the boys name. “Marzio,” he says. The rest of the ride we sit and listen to the radio, Marzio decides to sing along to “You don’t know you’re Beautiful” and I try not to laugh a little. We arrive at the United terminal and go through the agriculture check. I’m a little nervous they will take my lei, but it gets through fine. Marzio gets stuck at the weighing station, with 4 pounds over in his suitcase. I continue through to check my bag and go through security. I buy a fresh lei to give my sister when I land in Boston and buy myself lunch to eat quickly at the gate. After I’m finished I see the sign that says, “Please no eating in the waiting area.” Oops. The 9 hour flight goes by incredibly quickly. I don’t feel like I’ve gotten much sleep, but when I think about the places on the map that I saw us pass on the TV screen I figure I slept half of the way across the Pacific, and from Utah to Michigan, which is pretty significant. There is a baby in front of me who is quiet the entire flight–very impressive. Next to me, there is an empty seat. I really lucked out for this red eye. When we land I get an email that my gate has changed for my next flight, so I only have to walk one gate over to get ready to board for Boston in a couple of hours. I eat lunch at a Sam Adams bar, and wait on the floor while my iPod charges. The second flight is only 40 minutes. I fall asleep before we take off and wake up when they announce that we are going to land. When I get off the plane my mom meets me and I give her the shell lei that I bought for my family. We wait for my blue suitcase to show up (which, luckily, it does) and I’m homeward bound.